This vinyl is 18 mil thick, which gives the instrument bezels and gauges a nice realistic raised appearance! 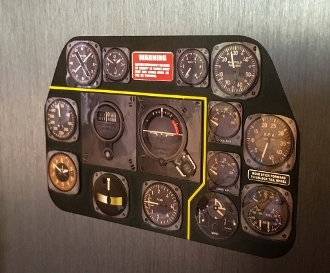 The set includes the bezels, gauges, warnings labels and backing. This way you can either use it as I have is shown assembled, or make up your own with the individual items.